In the summer of 1969, Leslie Van Houten and Patricia Krenwinkel carried out horrific acts of butchery on the orders of the charismatic cult leader Charles Manson. At their murder trial the following year, lead prosecutor Vincent Bugliosi described the two so-called Manson Women as "human monsters". But to anyone who knew them growing up, they were bright, promising girls, seemingly incapable of such an unfathomable crime. Award-winning journalist Nikki Meredith began visiting Van Houten and Krenwinkel in prison to discover how they had changed during their incarceration. The title should be "ME,ME,ME." 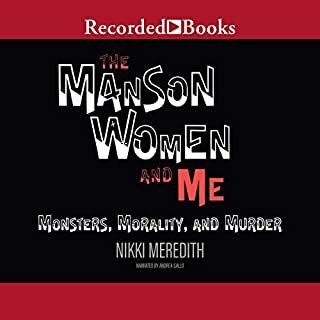 This book was more about Ms. Meredith than it was about the the Manson girls, as if Pat and Leslie were an afterthought in the story of HER life. Save your credits. Miss D and Me is a story of two powerful women, one at the end of her life and the other at the beginning. 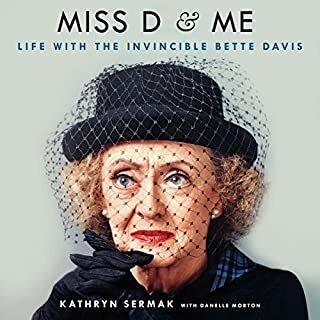 As Bette Davis aged, she was looking for an assistant, but she found something more than that in Kathryn: a loyal and loving buddy, a co-conspirator in her jokes and schemes, and a competent assistant whom she trained never to miss a detail. What would have made Miss D and Me better? More about BD or Miss Davis's family. Who cares about Katryn Sernac;s love life? What about Kathryn Sermak’s performance did you like? Her delivery was great, Her story was boring! If you could play editor, what scene or scenes would you have cut from Miss D and Me? Joan Rivers was known all over the world - from the Palace Theater to Buckingham Palace, from the bright lights of Las Vegas to the footlights of Broadway, from the days of talkies to hosting talk shows. But there was only one person who knew Joan intimately, one person who the authorities would call when she got a little out of hand. Her daughter and best friend, Melissa. 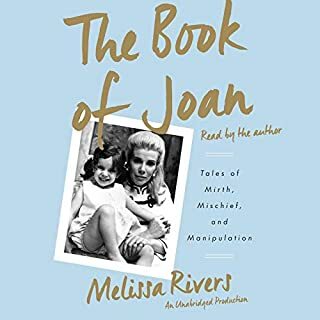 Would you listen to The Book of Joan again? Why? What about Melissa Rivers’s performance did you like? I never thought much of Melissa Rivers. She won a fan! In 1930, William Haines was Hollywood's #1 box-office draw - a talented, handsome, and wisecracking romantic lead. Off screen, however, protected by a careful collaboration between studio and press, he was openly gay with reporters and studio chiefs alike. 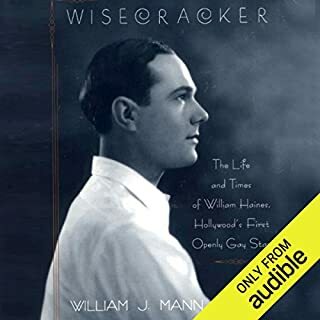 Here is Haines's virtually unknown story - rich with detail, revelations, and scandal - about silent movies and talkies; his lover Jimmie Shields, and their fifty-year relationship. Juicy, Thoughtful and One of a Kind! Since Billy Haines is basically obscure, more stories involving other celebrities woould have be good. Deborah Layton leaves nothing out. Would you consider the audio edition of Seductive Poison to be better than the print version? What other book might you compare Seductive Poison to and why? It's in a class by itself. What does Kathe Mazur bring to the story that you wouldn’t experience if you just read the book? This book is very disturbing. Brava to Ms. Layton for telling everything. Not a pretty story. On the eve of the 2012 Grammy Awards, the world learned of a stunning tragedy: Whitney Houston, unquestionably one of the most remarkable and powerful voices in all of music, had been silenced forever. Over the weeks and months that followed, family, friends, and fans alike tried to understand how such a magnificent talent and beautiful soul could have been taken so early and so unexpectedly. Honest and heartbreaking, this is a mother's story of tears, joy, and her greatest love of all: her daughter, Whitney. 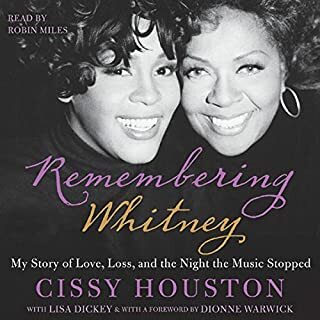 Where does Remembering Whitney rank among all the audiobooks you’ve listened to so far? What was one of the most memorable moments of Remembering Whitney? Cissy was a strict controlling mother. No woder Whitney turned to drugs. Would you try another book from Laura Johnston Kohl and/or Sarah Van Sweden? This is the "Laura Johnston Kohl" story and it is incredibly boring. Very little is mentioned about the inside story of the "People's Temple. 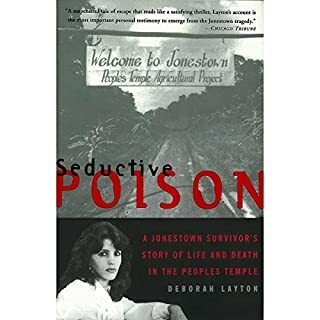 Has Jonestown Survivor turned you off from other books in this genre? 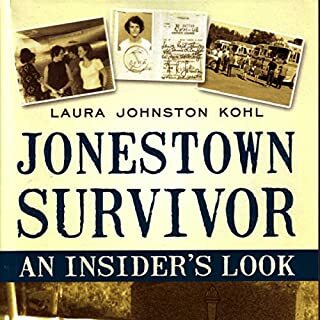 What character would you cut from Jonestown Survivor? One mispronounced name spoiled this for me. 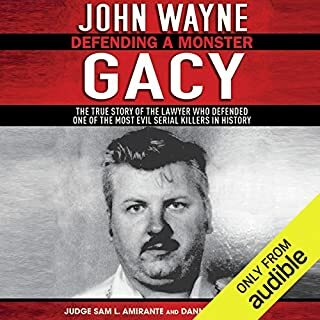 If you could sum up John Wayne Gacy: Defending a Monster in three words, what would they be? The narrator was excellent; however, he consistently mispronounced the name of the young man whose murder saved countless subsequent future possible young me: Robert Piest.I cringed every time the narrator pronounced his surname incorrectly. It's pronounced "PEEST," not "PEE-AST." I've noticed mispronounced names. on several recordings, Helter Skelter is another example of mispronounced names. Please do your research. What aspect of Robin Bloodworth’s performance would you have changed? Mr. Bloodworth's delivery was immaculate with the exception of mispronouncing Rob Piesr's surname.